1869 saw the laying of the first non-British Atlantic cable by La Société du Câble Transatlantique Française, the route being Brest, France - St. Pierre - Cape Cod, USA. 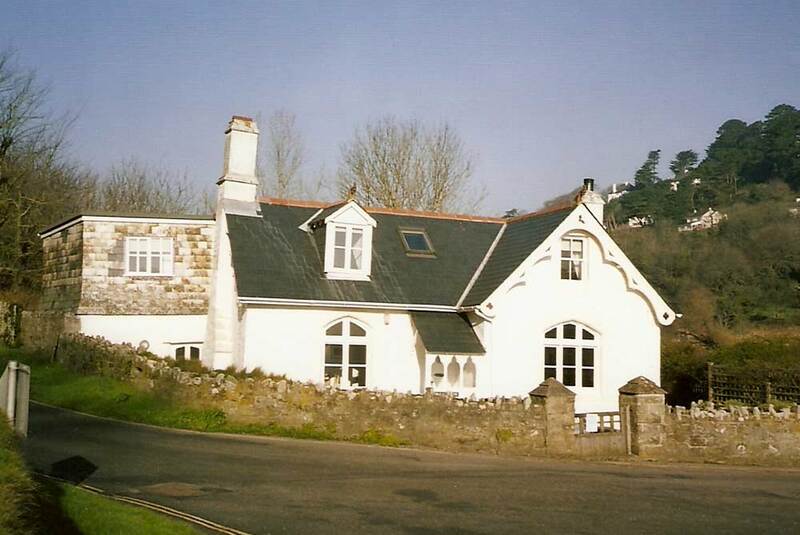 It soon became apparent that a connection to London was needed, and in 1870 a line was laid from Brignognan (Brest) to Salcombe in Devon, with an aerial line on to London. The cable was made and laid by the W.T. Henley Telegraph Works Company using CS William Cory. The cable length was 101 miles with a greatest depth of 59 fathoms. We have been furnished with a few particulars respecting the laying of the telegraph cable at Salcombe: they are here given. In order to effect a direct communication between the French-Atlantic telegraph cable and London, a sub-marine cable between Salcombe and Brest has been laid. 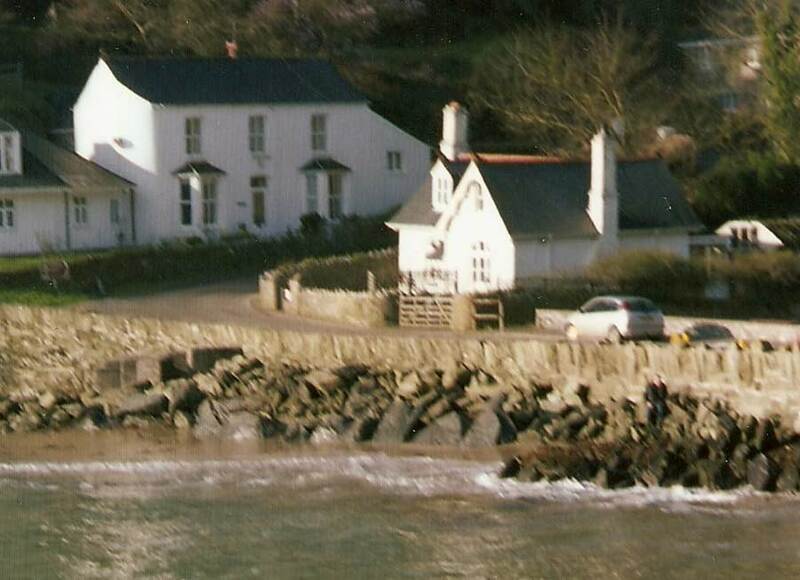 The steamer William Cory, having the cable on board, under the superintendence of Captain Mayne, R.N., C.B., arrived off Salcombe on the 27th, and the shore end was landed on the 28th of May, 1870—the point selected being a sandy beach at Starehole Bottom, under the Bolt Head. It was then conveyed about two hundred and fifty yards, to the top of the adjacent cliff. The temporary testing house into which the cable was carried was, in the course of a few months, dismantled, and a more substantial erection of stone received the instruments, so as to test at intervals the state of the insulation and continuity of the submerged portions of the cable. Subsequently, the Anglo-American Cable Steam-ship Robert Lowe was engaged off the coast, raising the shore end and making a fresh splice, so as to bring it into the instrument house built for the purpose on the North Sands. 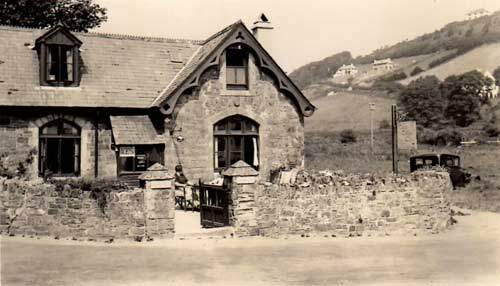 This was effected on the 15th of October, 1871; the wires also being connected at the same time with the Salcombe receiving office. Some of the leading telegraph gentlemen of the day were engaged in testing the cable at this building, by forwarding and receiving messages from very distant parts of the world; the long ribbons of communication uncoiling from the beautiful instruments in a marvellous manner, and displaying their hieroglyphic dots and strokes to the amazement of the uninitiated. The United Kingdom Co.’s line fell into the hands of Government, February 5th, 1870, but the Prawle line still continues private property; it is, however, kept in working order by Government. A wire was also carried to Torcross, the Prawle insulation being available as far as Frogmore, where the line branches off. An important line has also been extended to Salcombe, along the main road; the Brest line being suspended to the same poles. These also carry a wire which was to have joined the Channel Islands cable; but as that cable was landed at Dartmouth, instead of on the Salcombe coast, as at first intended, this wire is not used. The Post Offices at Kingsbridge, Salcombe, and Torcross, are, as is now usual, the receiving offices for messages. The 1870 Salcombe cable remained in service until 1900, when it was replaced with a cable from Cuckmere to Le Havre. 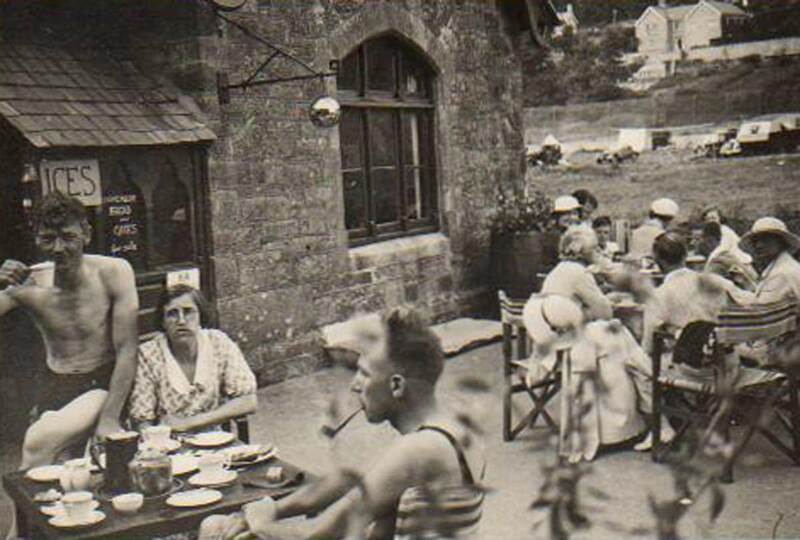 The cable hut at Salcombe was then converted to residential use, the cable being visible through a glass plate in the floor in recent times. My aunt, Mrs Walduck, purchased (or possibly occupied) Cable Cottage in about 1934 and ran it as a cafe. I know I went there in the early summer of 1935, and the photos below were taken then. That is me sitting on the gate, aged about nine. 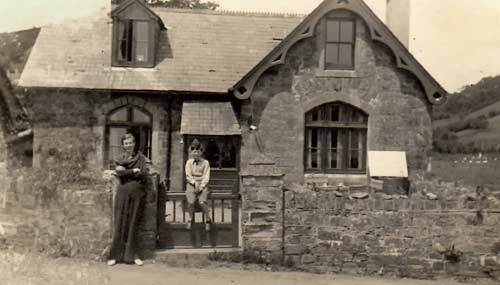 My aunt had certainly disposed of her interest by 1938, so perhaps the cafe was not viable. 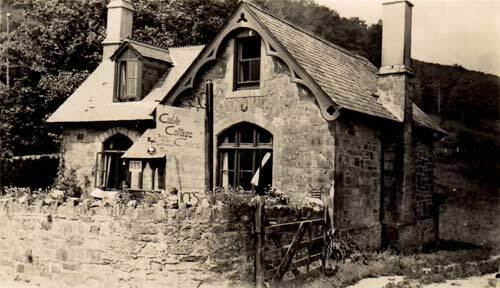 Sadly, the cable cottage fell into disrepair and was demolished in 2009, although a new building in a similar style is now on the site.